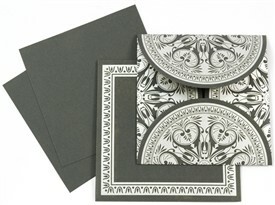 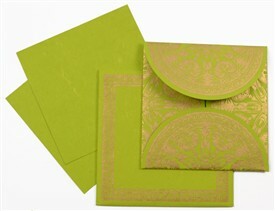 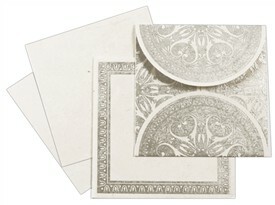 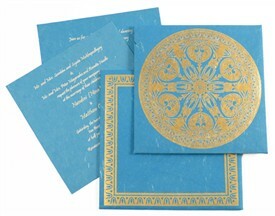 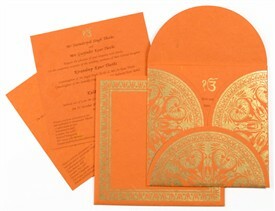 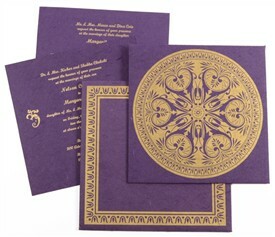 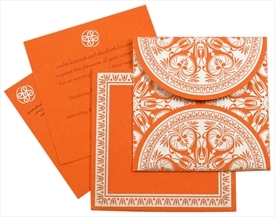 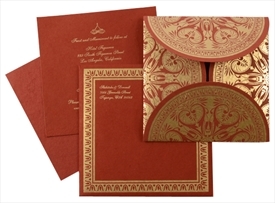 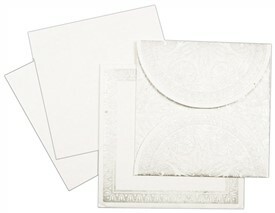 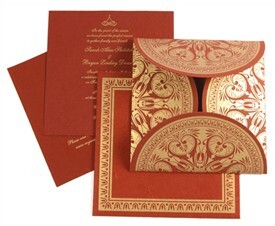 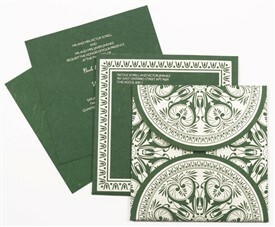 D-5925, Red Color, Odd Shape Cards, Designer Multifaith Invitations. 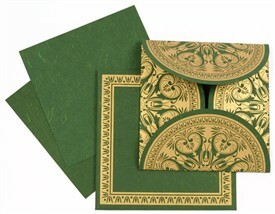 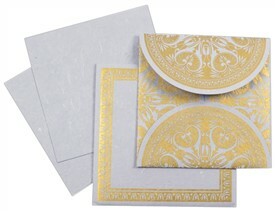 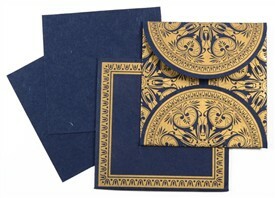 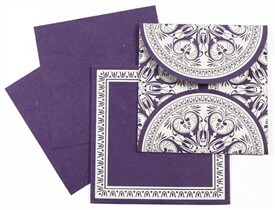 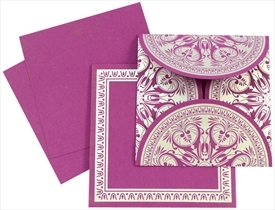 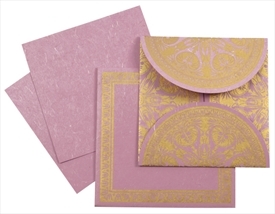 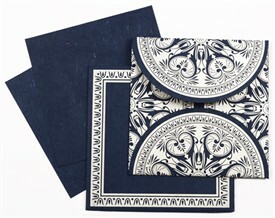 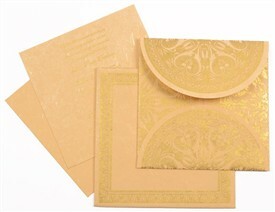 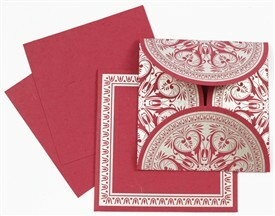 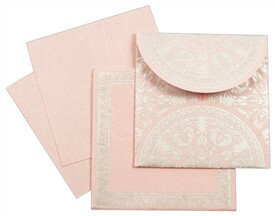 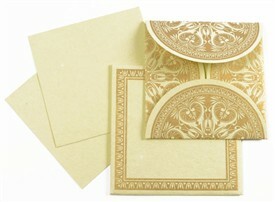 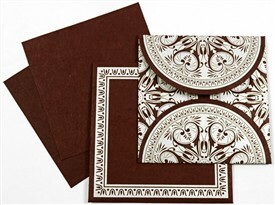 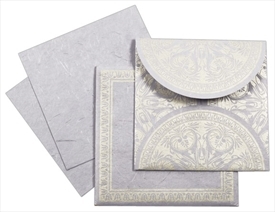 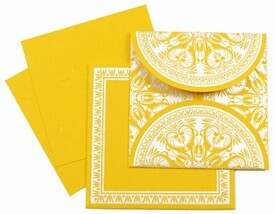 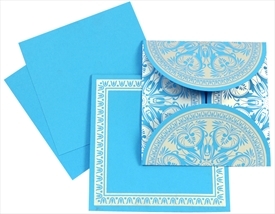 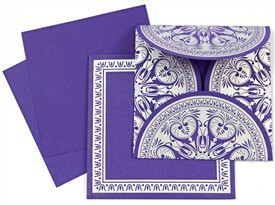 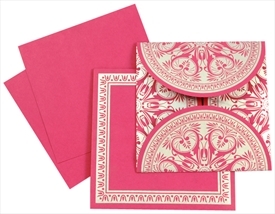 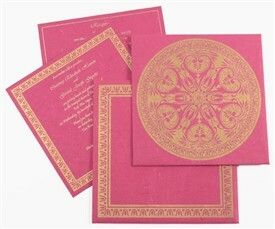 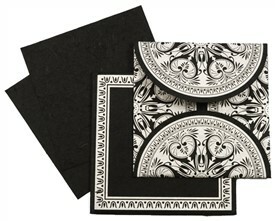 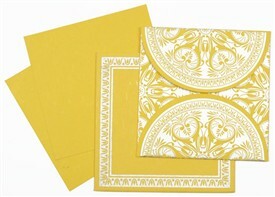 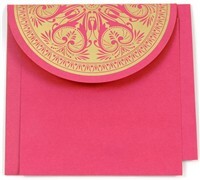 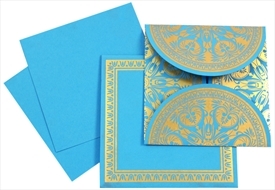 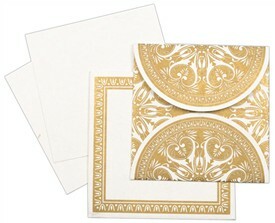 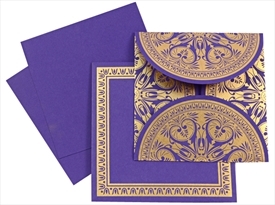 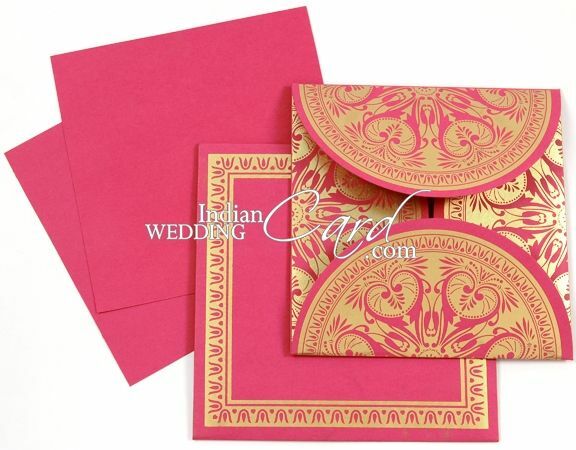 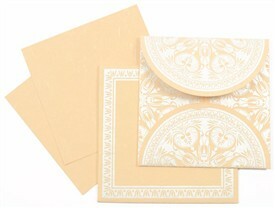 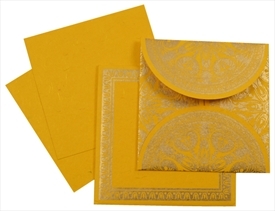 Crimson (Majentish Red) color paper (250gsm) for handkerchief style card, 2 inserts and mailing envelope with design printed in Gold. 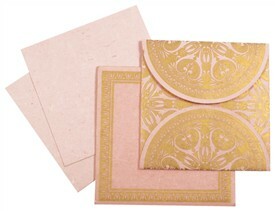 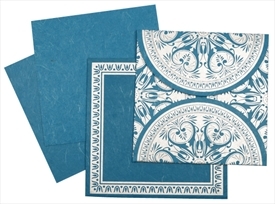 Silk Screen Printing in colors matching to the papers.